In this blog post, we are going to talk about the top PHP frameworks of the year and what features they hold. We are also going to see a google trends graph how famous these frameworks are among the users depending upon the search hits they received. 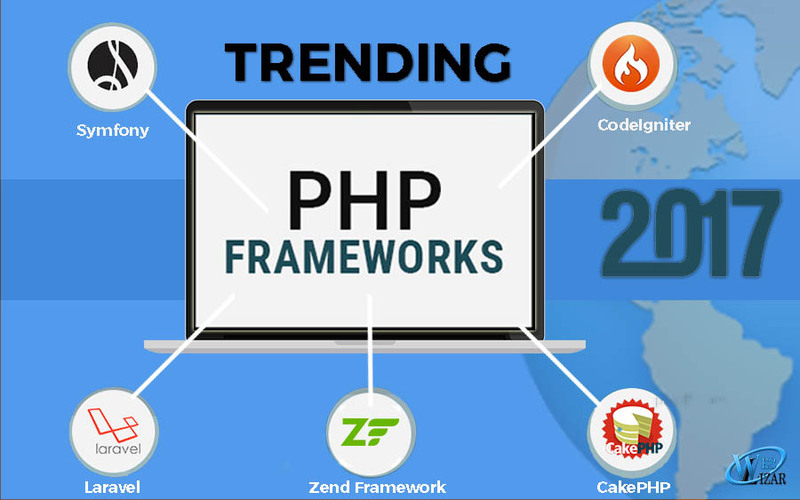 Before going any further with the top PHP frameworks, let us see what PHP framework actually is. PHP is one of the most favored server-side scripting languages known for its simplicity, PHP frameworks complement PHP, it provides developers some pre-built modules to ease things out and they don’t have to start everything from scratch, a platform to create robust, reusable components, and has faster development cycles. How do PHP frameworks help developers? PHP frameworks use Model View Controller(MVC) architecture, where the development of the business logic is independent of both the underlying data and the overlaying presentation view. MVC helps developers to focus on their specific areas without worrying if their code will adversely affecting the development of the other modules or not. This breaking up of the development process into independent modules increases the speed of the entire development process and improves the stability and quality of the product. As far as frameworks go, Laravel takes the cake with the most number of personal and professional users. The 2015’s Sitepoint survey indicates that excellent documentation, solid features, and a thriving, growing support community have made Laravel a clear winner in the space of PHP framework. Google trends on PHP frameworks show similar results. One of the older players, Symfony is considered to be a stable base for many other newer frameworks including Laravel. The quick adaptability and widely used documentation of Symfony make it one of the most dependable PHP frameworks. A simple, powerful PHP framework, CodeIgniter is known for its flexibility and hassle-free installation. CodeIgniter is supposed to have an easy learning curve thus making it the best choice for beginners. 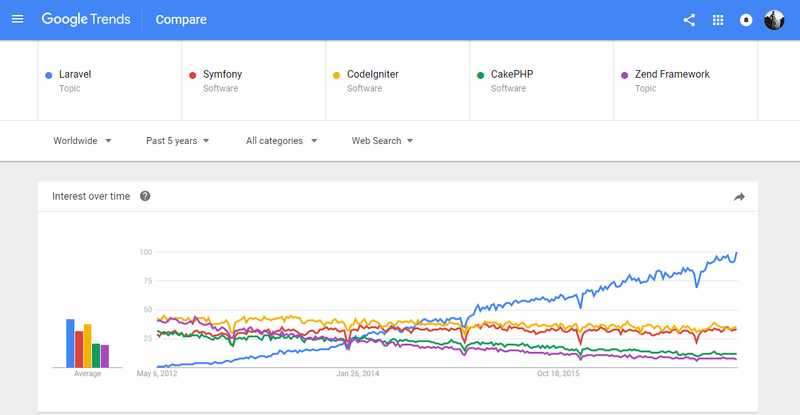 One of the oldest frameworks, CakePHP has retained its strong user base and has continued to grow. It also boasts of an impressive portfolio consisting of brands such as BMW and Express. Zend is considered to be a very stable and robust framework recommended for big, enterprise-level projects. It has a wide variety of features which facilitates the development of quality applications for enterprise clients. It doesn’t matter whether you are a beginner or an expert coder, these top PHP frameworks are built to make your life easier as a developer. PHP frameworks standardize repetitive code thus reducing the lengthiness of code and encouraging developers to follow coding standards and the creation of reusable components, and lets developers focus on the business flow and the components of the application/website rather than get distracted by the small changes of the coding language.